Nike keep going with the boot releases today and now the American sports giant launch a Nike Tiempo Legend IV Stealth, which has a dusky aura of elegance that is perfect for the classic footballer with a good feel for the ball. Here you can see the sharp and dark version of Nike's classic boot, where they have also found space for a little touch of orange. We might as well be honest: It doesn't get much more classic than this these days. 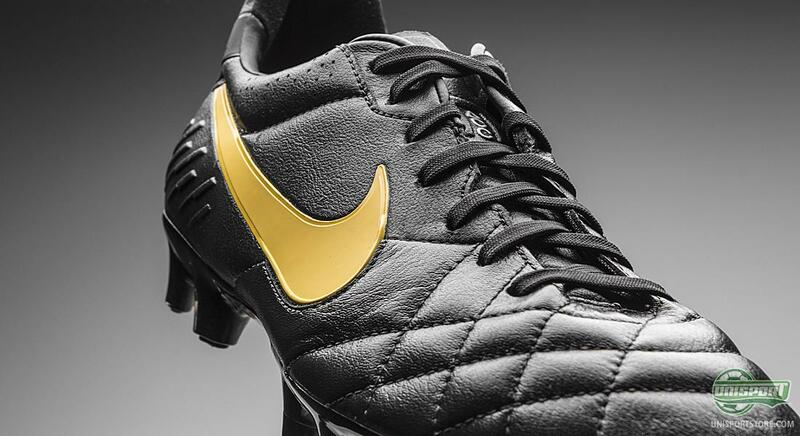 An almost entirely black Nike Tiempo Legend IV, is super stylish. The iconic boot looks incredibly nice in the dominating black colour and when that has been spiced up with an orange Nike-swoosh, then the boot exudes an aura of pure class and elegance. We can already see Pirlo spellbinding crowds with his supreme ball control directing the run of play. Are you a fan of the elegant black colour? You can already pre-order the Nike Tiempo Legend IV Stealth - prises start at just - 142. With this Nike Tiempo Legend IV Stealth Nike continue their blackouting of their boot silos, after they earlier today revealed a Nike Hypervenom Stealth, a Nike Mercurial Vapor IX Stealth, a Nike CTR360 Maestri III Stealth and now to complete the set a Nike Tiempo Legend IV Stealth. It marks the return of dark colours to the modern football boot world, which is otherwise dominated by flashy and bright colourways. 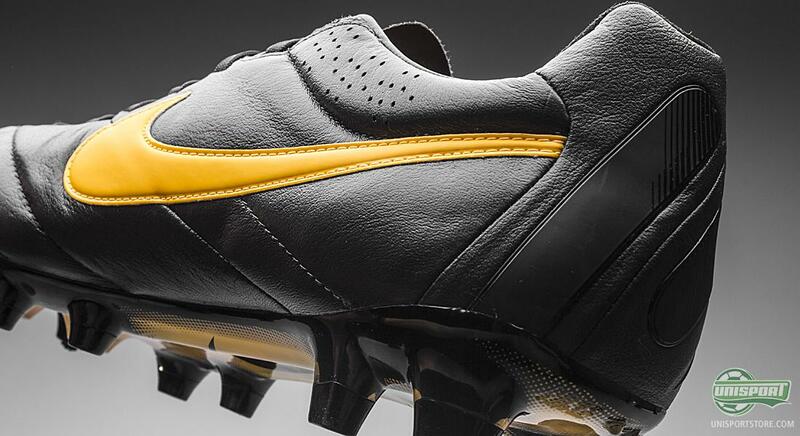 If you turn back time a decade or two and look at the way football boots were designed, they were all black. 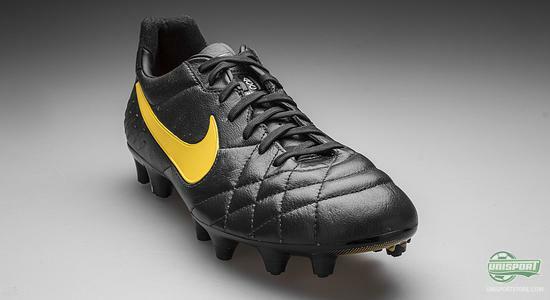 The Nike Tiempo Legend IV pays homage to the older classic boots, while still having a slight modern edge, with the orange Nike-swoosh and latest technologies incorporated. 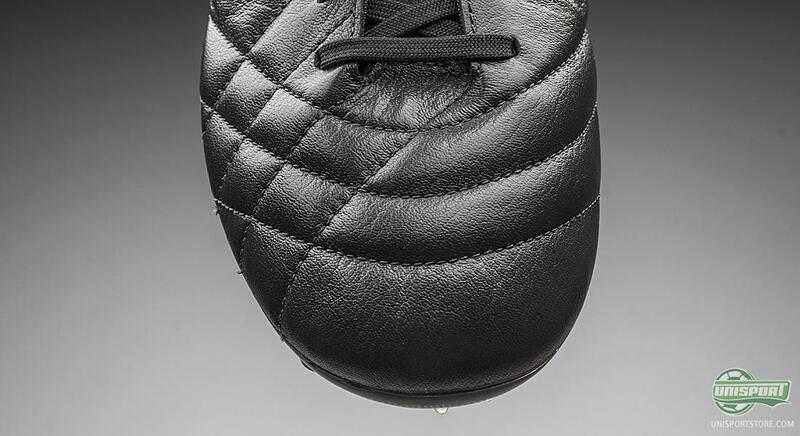 On the Nike Tiempo Legend IV Stealth you find the well known kangaroo leather on the front foot, which is a material famous for its softness and suppleness. It gives a nice and personal fit after wearing the boot just a few times. And although the Nike Tiempo Legend IV has a very simple look, we can guarantee that there has been plenty of hard thinking involved in making this boot. Across the front of the upper and the kangaroo leather we can see rows of small stitching, which have been tactically placed along the fibres of the leather, so the leather only stretches as much as it should and no more. 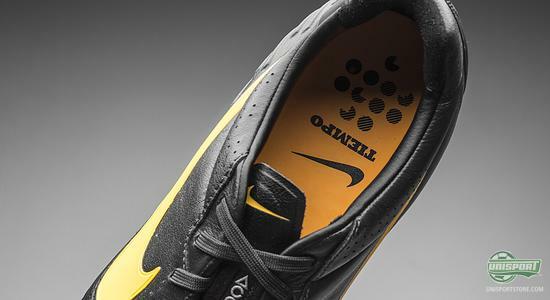 As stability is completely essential to a boot, Nike have made the heel and midfoot from their leather emulating Kanga-lite material. Kanga-lite is an incredibly smart addition to the boot, as it doesn't take in as much water as traditional leather does. This means the boot's fit will not give in and get ruined, any time before the boot. The boot has already marched onto the big scene, where it can be found on a very wide variety of players, ranging from the old midfield ace, Andrea Pirlo, all the way to the young battering ram Christian Benteke. 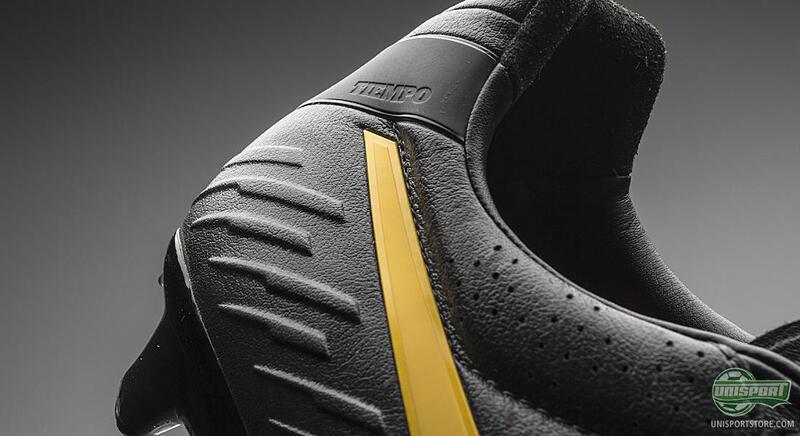 They both enjoy the boot's elegant touch and sublime modern technologies. 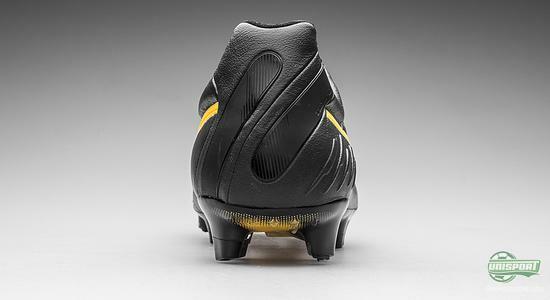 We will definitely keep our eyes peeled to see whether the pair take to the field in the new Stealth colourway. With a powerful piledrive, Nike shot the blackout colourway directly onto the otherwise so bright and colourful boot market. 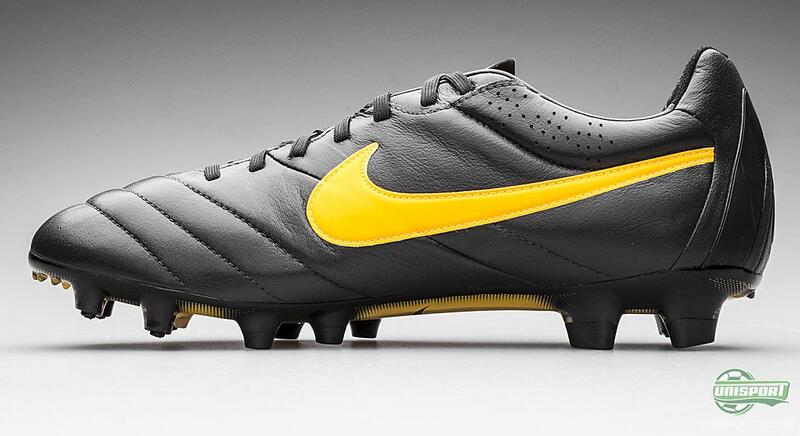 What do you think about the Nike Tiempo Legend IV Stealth? Does the black colour give it even more style? We would love to know down below, as well as on Facebook and Twitter.